Eggs, a natural sleep aid? 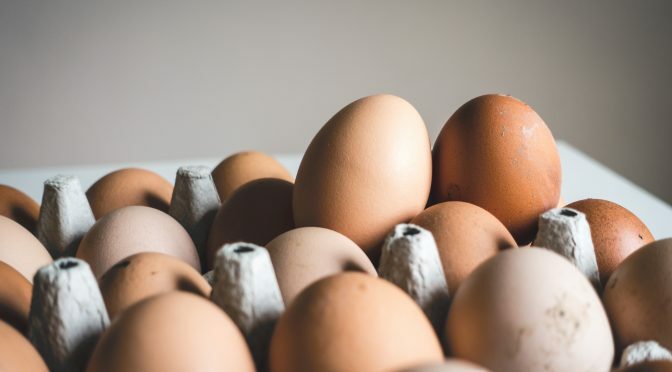 There has been some chatter this week about eggs helping you sleep better. As a nation we are certainly not sleeping enough and not getting enough decent sleep. So can an egg help? Personally I think eggs are amazing and underlooked. They are packed with nutrition in such a small space. Eggs are around 60-78kcals depending on their size. They are great protein source and also contain a whole range of micronutrients. With vitamin D to help top up those sunshine vitamin levels, Iron and zinc which specifically can be low in teenage girls and young women. Then B vitamins for energy release (we all need that). Thinking about brain development, pre-conception nutrition and pregnancy they contain folate, selenium and iodine too. So they are definitely something to be eating regularly, even daily. Eggs are low in terms of glycaemic index so can help stabilise your blood sugars too. Back to the sleep. Eggs contain tryptophan which is an essential amino acid that acts as a natural sedative. The body can use it to make melatonin and serotonin, these aid our sleep. The synthesis of serotonin from tryptophan derives from a two-step process with the rate of serotonin synthesis dependent on tryptophan concentrations in the brain. 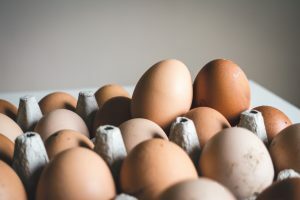 Because serotonin is involved in the regulation of mood and anxiety, eating eggs may contribute to helping with anxiety and depression as well as sleep. Eating an egg along with carbohydrate help to decrease the other competing amino acids in the bloodstream due to the increase of insulin that occurs. So a great way to have your egg would be with a slice of wholemeal toast. Previous PostEat Well for Less: Healthier cheesecakes.Next PostWho is Priya?